Reebok is aiming to take experiential to the next level with its first stateside Fit Hub gym/store, opened last week in New York City. The 2,500 square foot experiential retail store, which doubles as a venue for training and exercise demos, is staffed with fitness experts that can provide customers with workout advice. 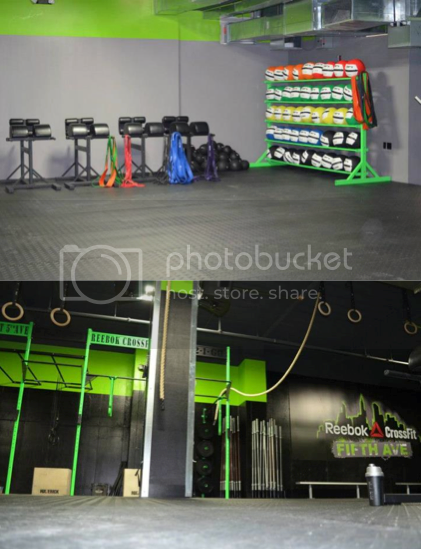 The store is also attached to a 10,000 square foot gym designed specifically for CrossFit -- a key strategic partner for the apparel company. Reebok has opened Fit Hub concepts in Korea, Russia and Dubai previously, but the New York location is the first to be opened in the U.S. It's the latest step in Reebok's move to make fitness its marketing focus. Here's Reebok's President Uli Becker discussing the company's fitness philosophy at the recent store opening. Check out more pics of the brand new Reebok Fit Hub store over at PSFK.com.